According to the U.S. Bureau of Labor Statistics, in 1991 approximately 35% of employees were participating in a defined benefit plan of some kind—generally speaking, they were offered a pension plan when they retired. That number shrunk to about 25% ten years later, and to about 17% by 2011.In “the good old days” an employee could count on a combination of Social Security checks and pension plan benefits to fund their retirement (assuming big bills such as a mortgage were paid off, of course). All that remained was to own a bit of stock or a few bonds, which could be sold off to provide extra cash when needed. With a pension, a company has defined a required payment. When you retire and start on your plan, a company has to fund that payment no matter the economic environment. Today, pension benefits are becoming more scarce, and are being replaced with defined contribution plans. A defined contribution plan allows a company to do just that—define their contribution amount rather than the payment. This meant the risk of losing money in investments (and the resulting risk of not being able to pay bills each month) was transferred from the company to the individual. 401(k) refers to a defined contribution plan that allows the employee to make contributions (i.e. a salary deferral), and is the next shift in retirement plans. Now not only was the risk of investment loss transferred to the employee, but the requirement to make a contribution in the first place! What rate of return can you reasonably expect over time? Do you have longevity in your family? What about an expectation of good health? What expenses do you have today, and what is your available income? Do you expect your expenses to change after retirement? Will they increase? Are you planning just for yourself or will you need to have money available for a disabled family member or aging parents? There are a number of other considerations, but you get the idea. Your income during retirement will most likely still contain some Social Security and may even include a pension plan or other guaranteed income. The task at hand now is to create an estimate of your expenses (don’t forget taxes and insurance!) and to calculate how much income will be missing after you stop working. Having the numbers in a written plan will define what isn’t covered by your future income, and will help you work out how much you will need to set aside now. As we’re fond of saying, time makes a bigger difference than timing as far as investing goes, so start early and review your plan often. It’s worth noting that the same basic formula also applies to other goals, such as college funding—have an idea of how much you will need, when you will need it, offset that amount by any income (i.e. scholarships), and then calculate how much to put aside to cover the goal. These can compete with your retirement plan, and might mean additional savings are required if you want to achieve multiple goals. The good news in all of this is that while the risk of investment loss is slowly being transferred to you as time marches on, so is the potential for returns. 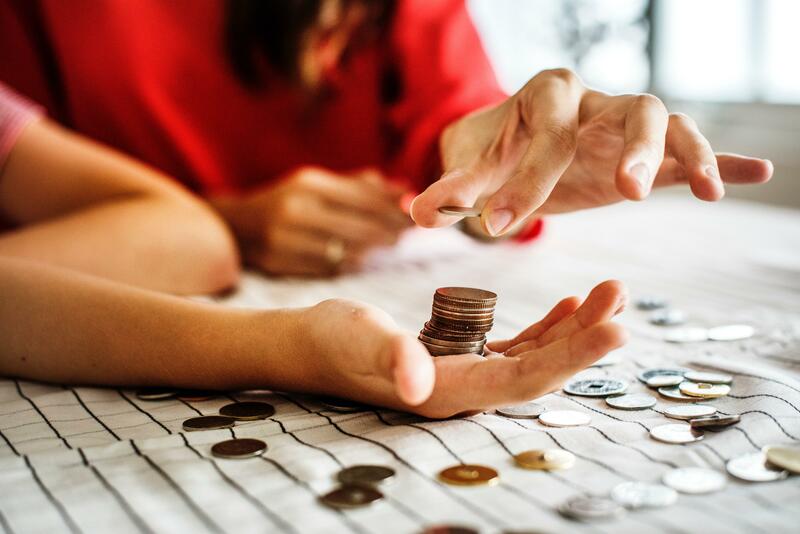 If you are diligent about putting away savings, invest wisely, and don’t get scared off by the occasional poor market environment, it’s possible that the income you may be able to pay yourself could be significantly larger than the income you would have received from a pension. Good luck, and don’t hesitate to ask if you have questions!